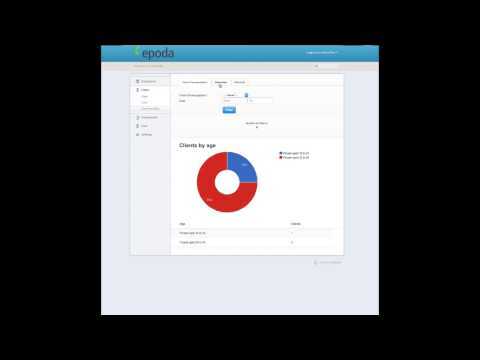 Epoda CRM is a specialised CRM /Assessment software that we have developed for Housing Associations. Although this software could be used/adapted for use in many other sectors. This software is mainly used by Housing Associations and in the Energy Efficiency market, but more people from other areas are beginning to realize how Epoda CRM can help them in a variety of other disciplines. Epoda is a software solutions company providing Energy Assessment Solutions for both the commercial and domestic marketplaces. Epoda software aims to provide you with the easiest access to your clients and to help you to realize your full potential. Epoda run their software on systems that they believe are the best web hosting servers in the country. Epoda provides bready-made and bespoke solutions. Bespoke light weight solutions for Housing associations to meet their Corporate Social responsibilities. The below version was developed as a light weight version that is mainly for managing the client assessments, and tracking referrals from those assessments. Assessors can start their assessments by creating their own assessment and selecting the address from the post code lookup. Otherwise they can choose the assessment that appears in their appointment list, or an incomplete assessment. The assessor collects the client details working through bite sized chunks covering information about the client, where they can make recommendations for referrals (and upload photos relating to those referrals).